Action-adventure game with challenging puzzles. Is there a better alternative to Alabama Smith: Escape from Pompeii? Is Alabama Smith: Escape from Pompeii really the best app in Adventure category? Will Alabama Smith: Escape from Pompeii work good on macOS 10.13.4? Alabama Smith: Escape from Pompeii…Join Alabama Smith as he quests for the time-bending Amulet of Ages in this action-packed Adventure game! Solve elaborate puzzles to uncover the location of a lost, mystical relic that allows its bearer to travel through time. Then, step into the role of fateful Anastasia as she races to save Alabama Smith from a cataclysmic disaster! 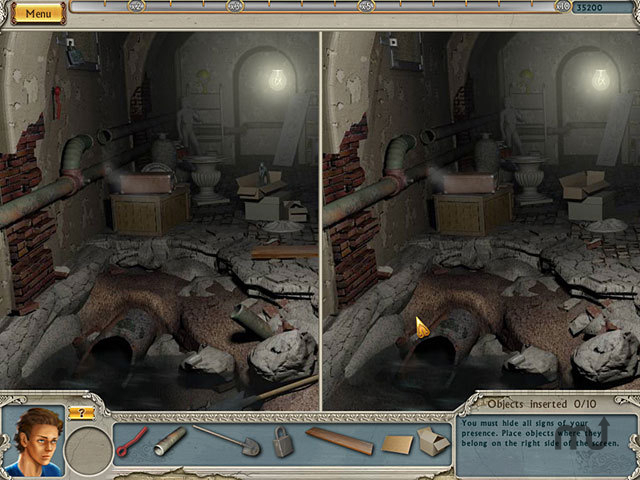 Loads of challenging puzzles and magical mini-games await you in Alabama Smith: Escape from Pompeii! Alabama Smith: Escape from Pompeii needs a review. Be the first to review this app and get the discussion started! Alabama Smith: Escape from Pompeii needs a rating. Be the first to rate this app and get the discussion started!